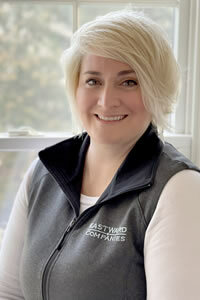 Shannon has been with Eastward Companies since 2019. She graduated with a Bachelor of Fine Arts from the University of Massachusetts – Dartmouth with a degree in Photography and Electronic Imaging. Following graduation, she managed several businesses in Boston and on the South Shore. Shannon brings her organizational skills as well as 20 years of office skills to Eastward. She will be your first point of contact in the office and coordinates tasks for the President, Chief Financial Officer, Comptroller, and Supervisors. She is a member of the Cape Cod Young Professionals and numerous marketing and networking groups. In her spare time, she enjoys creating artwork, kayaking, traveling and spending time with her family and friends.